MetalRockNews: Bullet For My Valentine's Matt Tuck about new album "Venom": "We believe it's going to be the biggest metal record of the year"
Bullet For My Valentine's Matt Tuck about new album "Venom": "We believe it's going to be the biggest metal record of the year"
Bullet For My Valentine's Matt Tuck recently interviewed by Kerrang. Below you can read some excerpts. 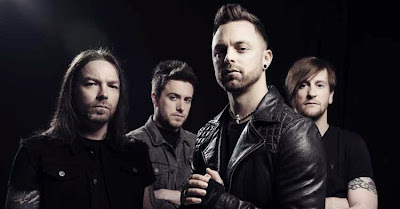 About new bassist Jamie Mathias, Matt Tuck said: "He's a Welsh lad. He sent in an audition tape and his was really good. We held auditions for a few guys, and when he came, he just smashed it. He fitted in instantly, especially with the Welsh connection. He plays like a beast and he sings like an angel." About new album, Tuck said: "We've got massive hopes for this album. We truly believe it's going to be the biggest metal record of the year. We've had these feelings in the past and we've always been spot on, but this one feels way more special than anything else we've ever done, so, fingers crossed, it's going to do what we want it to do."